He's certainly capable of providing offence as shown in his 18-goal campaign in 2010-11, his first full season with the Edmonton Oilers. For Jones, the 111th overall selection of the Minnesota Wild in the 2004 NHL Entry Draft, success isn't governed by what shows up on the scoresheet. Rather, Jones, who earned a scholarship at Miami University in Ohio, spending four years with the CCHA team, sees it in a much different light. It's been a perfect fit for both. 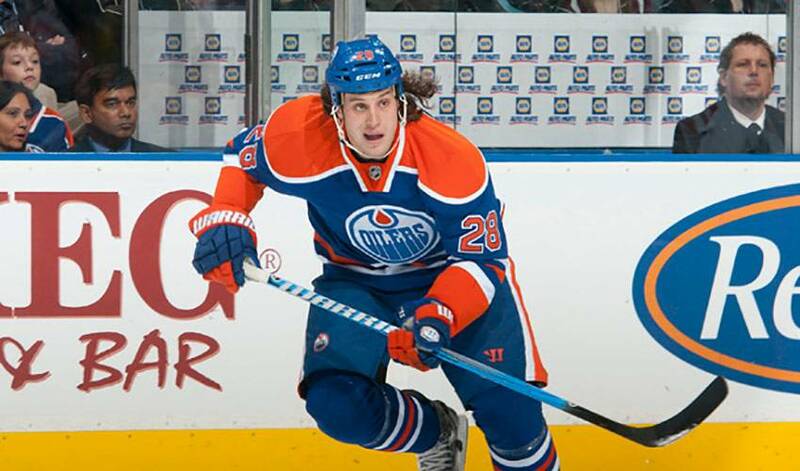 In 81 games with the Oilers in 2010-11, Jones finished the season with 25 points and posted a plus-five rating. He scored his first goal of season on October 10, 2010 versus Florida. Jones has played a strong role in helping Edmonton, who haven't made the playoffs since 2005-06, finishing last overall the past two campaigns, enjoy a strong start to the 2011-12 season. The 27-year-old, who had 49 points in 42 games during his final collegiate season with Miami University, was buoyed by what he saw in the Oilers even before the regular season got underway. So, where does Jones fit in when it comes to his status? Most importantly, however, Jones is looking to do his part to get the Oilers back in the playoff picture. Yet despite Edmonton's promising beginning, he's not ready to start thinking far beyond their next opponent. A year that Jones is hoping he can do a little bit of everything, including taking on the task of neutralizing their opponents top players. It's a role he relishes. Jones would love nothing more than to be able to put those skills to test once the playoffs get underway. A trip to the post-season would represent his first at the NHL level. That group would include Ryan Jones, who might not approach the game from a numbers point of view, but a player who always manages to make a point.